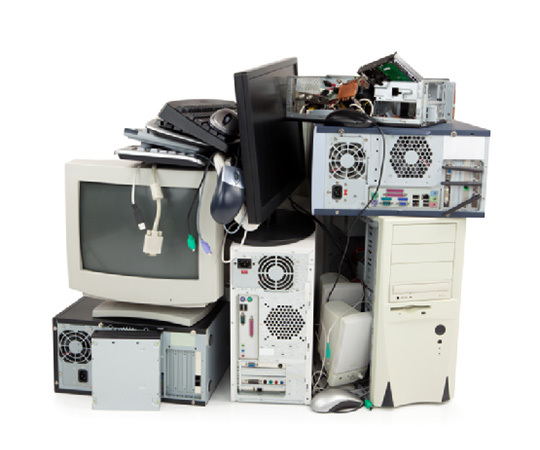 Founded in 2002 and headquartered in Hudson Ohio, e-Waste helps companies of all shapes and sizes recycle their outdated technology assets in a safe, secure and responsible manner. At e-Waste, we go beyond industry standards to provide efficient, ethical and environmentally friendly services. Our disposal methods are compliant with SOX404, HIPAA, Graham‐Leach‐Bliley and the EPA and we have a zero land fill policy, recycling or remarketing 100 percent of the assets we assume. We also adhere to R2 Certified industry standards and help our clients mitigate risk through a detailed documentation process that includes a complete audit report, fully insured certificates of destruction and a letter of indemnification that verifies data erasure, destruction of data and disposal compliance. e-Waste offers a full suite of IT asset management and disposal services, including asset tracking, residual forecasting, portfolio planning, certified DoD data erasure, IT Asset Recovery/Asset Purchase programs (liquidation of unwanted equipment and trade-in credit or revenue sharing programs) and fully certified, comprehensive electronic waste recycling. This suite of services solves all of a corporation’s core disposal requirements, specifically ensuring compliance and indemnification against any downstream violations of data or improper recycling practices. Our services are offered to clients directly or through Value-Added Resellers (VARs) and OEMs. Product specialties include Rugged Mobile Handheld products and bar-code scanning devices (AIDC), computers, servers, networking equipment, telecom/cell phones, data storage, printing, mobility, tablets and smartphones. I cannot thank you enough for the exceptional services that your company provides. What would normally take my IT staff months to accomplish, e-Waste did it in a matter of days. Not to mention at a fraction of cost. My IT budget thanks you as well!